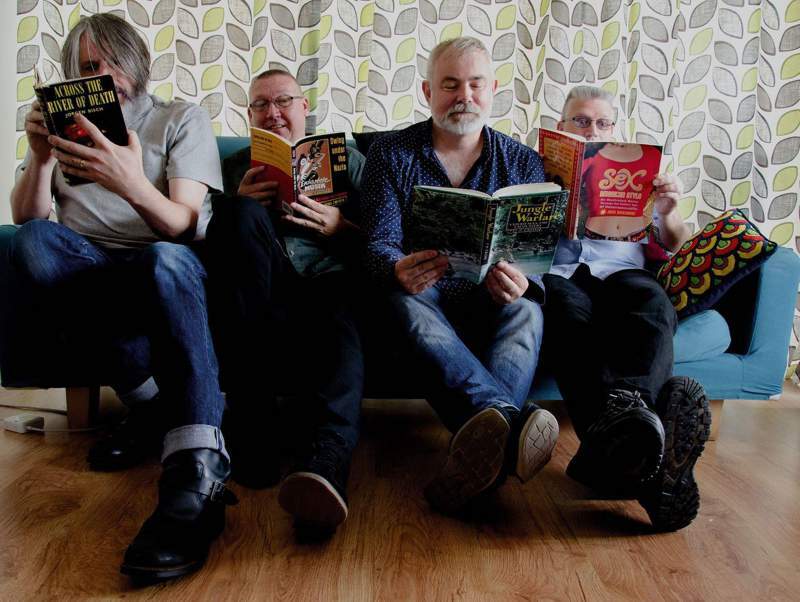 Since their high profile beginnings on NME’s legendary C86 tape, Romford’s The Wolfhounds have had a habit of fading in and out of the UK indie scene, depending on whether or not they had something to say. Their most recent release, last year’s topical Untied Kingdoms (…Or How to Come To Terms With Your Culture) very much had something to say; though they’ve grown darker in tone and subject matter in recent years, the manage to maintain the classic C86 guitar jangle and earnest vocals of their youth, even if their riffs are that bit more urgent and their lyrics more cutting. The musical growth suits them to a tee, and their forthcoming gig at Newcastle’s Cumberland Arms on Friday 10th November promises to showcase their ambitious sound in all its live glory. Support comes from Ashington’s experimental and ever-evolving loveable rogues St James Infirmary and Newcastle’s delightfully rough pop punk duo The Noise And The Naïve, offering up a gig which guarantees a colourful yet coherent variety of approaches to pop. NEWS: Moonlight Crusade @ Think Tank?